Bookkeeper's Keeper, LLC is a local Redding, CA accounting firm with highly trained QuickBooks Advanced Certified ProAdvisors® on staff. We can make it easy for your business to use QuickBooks™ to its full potential because we provide all the support services you need. We start by recommending the appropriate version of QuickBooks that’s best suited to your business. Next, we’ll conduct customized customized training classes to teach you all you need to know to operate QuickBooks. From that point on, we’ll act as your personal QuickBooks consultant. We’ll be available to answer questions, troubleshoot problems, and correct errors anytime throughout the year. We offer a free initial consultation to small business owners so call us at 530-547-4240 to get started. Mimi Robinson, Owner and Founder of The Bookkeeper’s Keeper, has been helping small businesses in Redding, CA and Northern California with their QuickBooks consulting, training, bookkeeping, and payroll needs since 1994. Mimi is great at getting the business books cleaned up, getting the numbers right, and fixing QuickBooks software problems. She’s friendly, flexible, and a great listener. These certifications mean that she has in-depth knowledge on the QuickBooks product line and she is continually learning about new features that can help you run your business better. Mimi works with business owners, executives, and bookkeepers, and she and her staff have served clients in Redding, Palo Cedro, Red Bluff, Mt. Shasta, Shingletown, Burney, Chico, Sacramento and San Francisco Bay Area. Mimi is also technology-savvy and looks for applications and software that can help her clients save time, streamline their processes, and get their books done faster. She offers virtual accounting services along with traditional services depending on the client’s needs. She works with clients weekly, monthly, or quarterly. The Bookkeeper’s Keeper is a member of the American Institute of Professional Bookkeeper’s, the Better Business Bureau, and the Northern California Business Association. Mimi earned a bachelor’s degree from California Polytechnic State University. When she’s not working, Mimi enjoys hiking in the many nearby forests, biking, and quilting. Audra comes with a wealth of experience working with business across multiple states. Audra has been under the mentorship of Mimi for many years and is now expanding the business into new areas. She has a strong talent with attention to details and is great at accurately cleaning up books, financial reports and processing payroll. 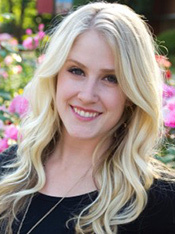 QuickBooks Certified ProAdvisor Audra has earned her bachelor’s degree in Business Entrepreneurship at California State University Chico. She is resourceful, dependable, adaptable, and friendly. In addition to her bookkeeping skills, she has experience in the restaurant, professional and retail industries. Audra has completed a triathlon, as well as partaken in most every sport. In her spare time she loves to be outside, read and cooking. Jack has joined our staff after completing a 31 year career in Law Enforcement. In his capacity as Captain, he shared responsibility for a multi-million dollar budget as well as oversight of all aspects of daily operations. Jack enjoys the challenges of bookkeeping, particularly in the areas of real estate investment and accounts requiring entries from past months or even years. He is methodical to work on QuickBooks files bringing clients’ accounts up to date and providing them with monthly services thereafter. 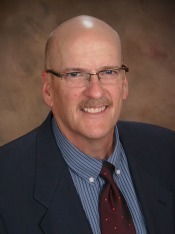 Jack holds an Associate’s Degree from Gavilan College. Jack is proudly married to his wife of 28 years and has 3 adult children. He enjoys restoring antique automobiles, hiking and cycling. 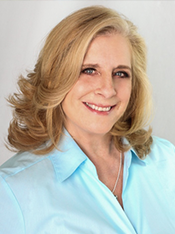 Valerie’s work history involves over 29 years utilizing the QuickBooks’s Enterprise system. 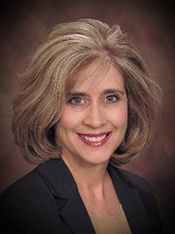 Her expertise is in Engineering service industry progress billings and payroll. She has been the Director of Business Operations for a small firm in the San Francisco Bay Area and completely understands the challenges and importance of utilizing the right system and resources to manage the entire bookkeeping process. Valerie also has had a wonderful opportunity to give back to the community. For many years she has supported her prior employer offered pro bono work to the California State Parks system by doing an annual volunteer trip to several different state parks to provide civil engineering and land surveying services where needed. Valerie enjoys hiking, yoga/pilates, cooking, and exploring new places with her family in her new RV.